You already know that dropping a few dollars at the fast-food drive-through every day will take its toll on your health — but you might be surprised to learn about other spending habits that could be harming your health and well-being. Before you whip out your credit card to pay for groceries one more time, read the following danger signs. Having relationship troubles? 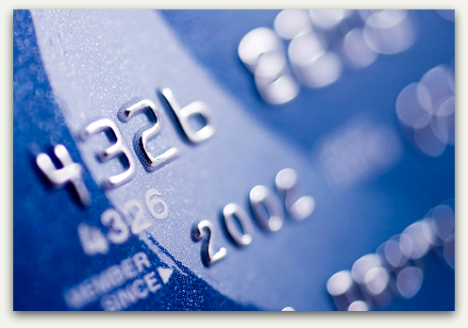 Your unpaid credit card balances could be to blame. A poll conducted by the UK-based Consumer Credit Counselling Service found that 37 percent of respondents cited debt, including credit card balances, for problems in their relationships. "When people are stressed out about their debt, they go from being happy-go-lucky to unpleasant to be around, and that has a negative impact on their relationships," says Una Farrell, media relations manager for CCCS. Solution: Be honest with loved ones about your debt, and work together to create a plan to pay off credit card bills and other unpaid balances. Dirty Money: Toxic Chemicals in Your Wallet?